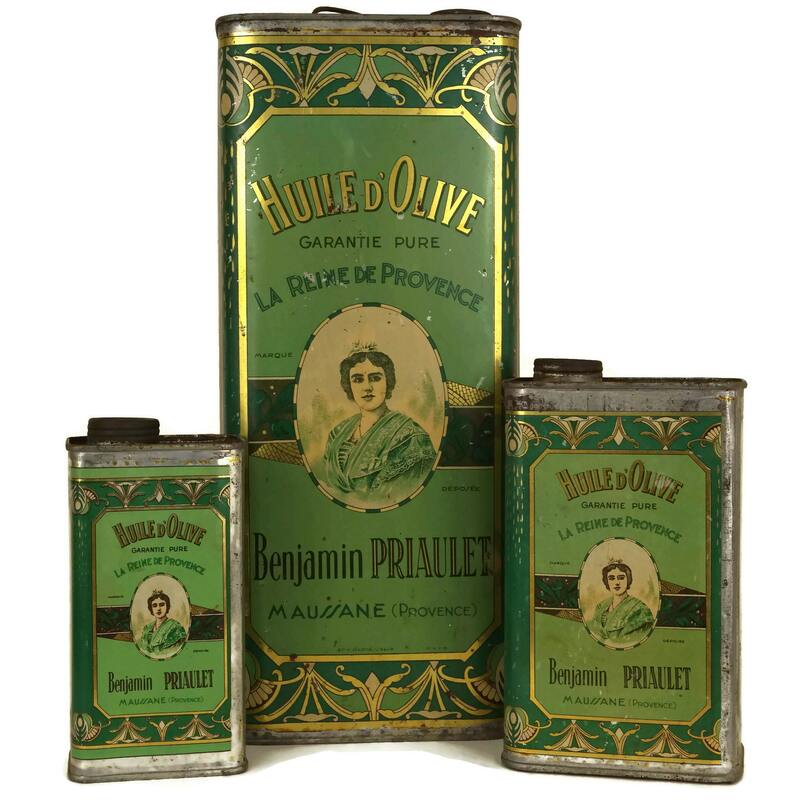 A rare set of 3 antique French olive oil tins dating from the early 1930's. 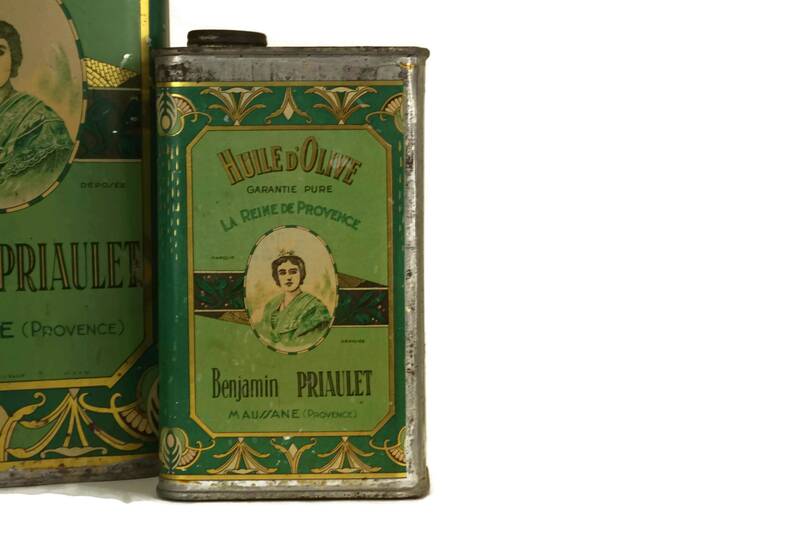 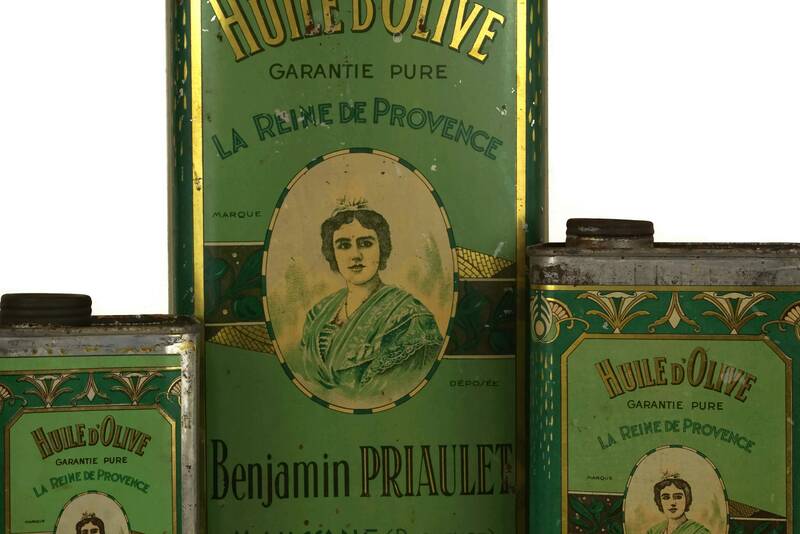 Each of the metal oil cans has been decorated with charming lithographed advertising for La Reine de Provence olive oil. 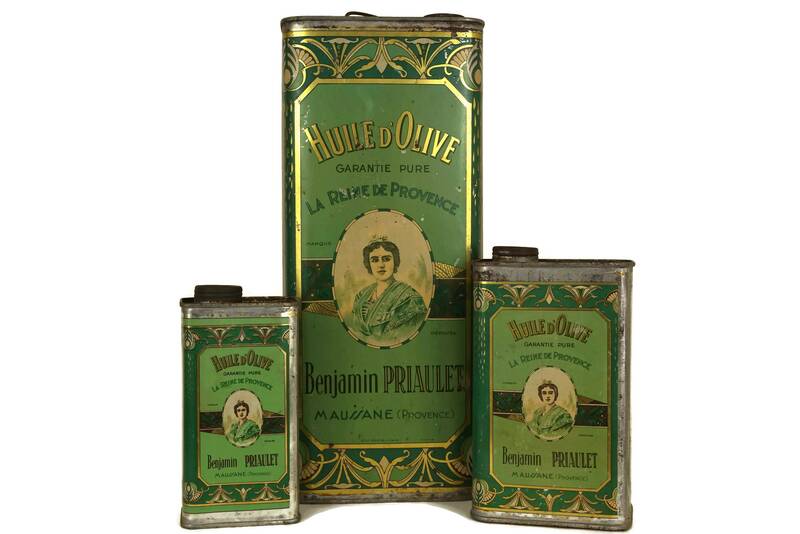 The containers are graduated in size with capacities of 500 ml, 1 Liter and 4 liters. 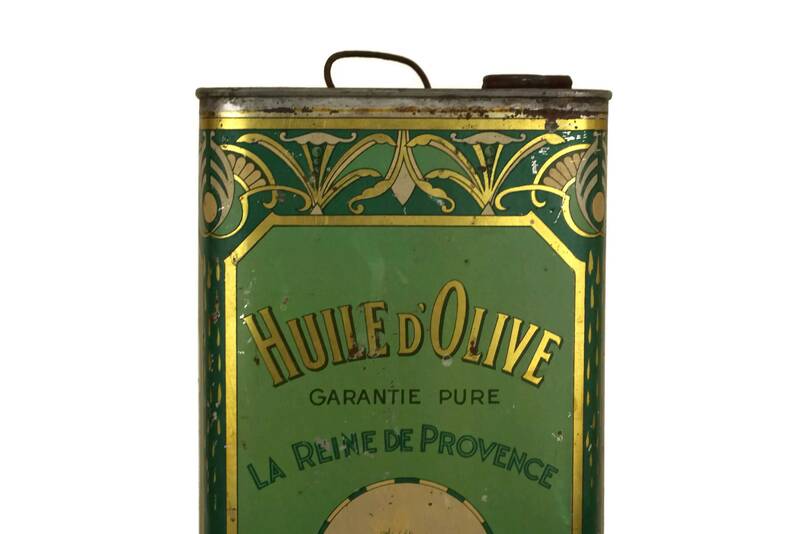 The collection is certain to add an authentic French provencal touch to your kitchen decor. 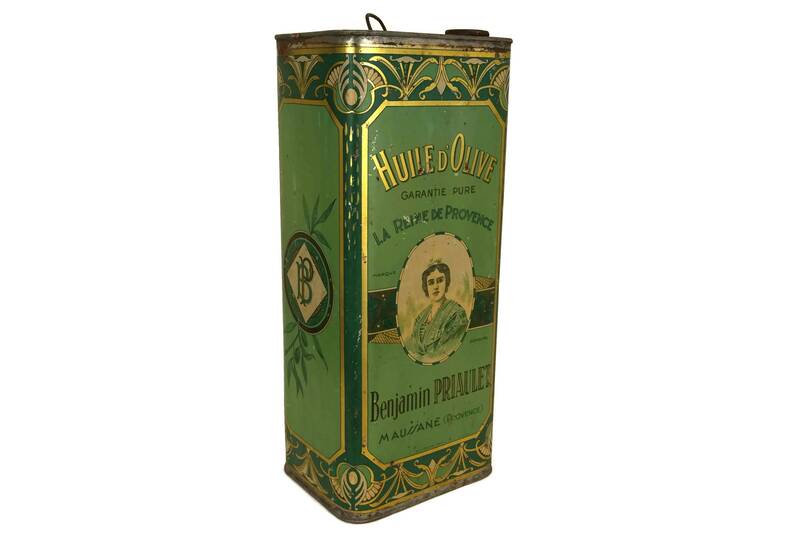 Large: 14" High x 6" Wide x 5" Deep (35 cm x 15 cm x 13 cm). 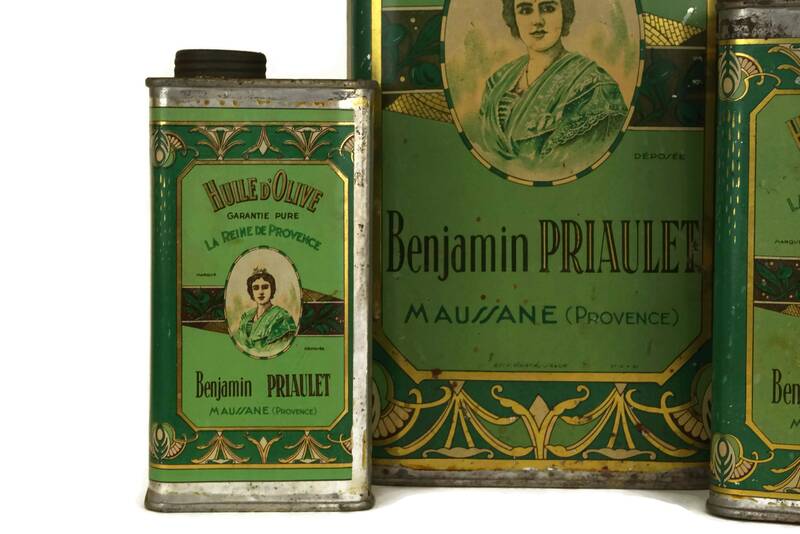 Medium: 7" High x 4.5" Wide x 3" Deep (18 cm x 11 cm x 7,5 cm). 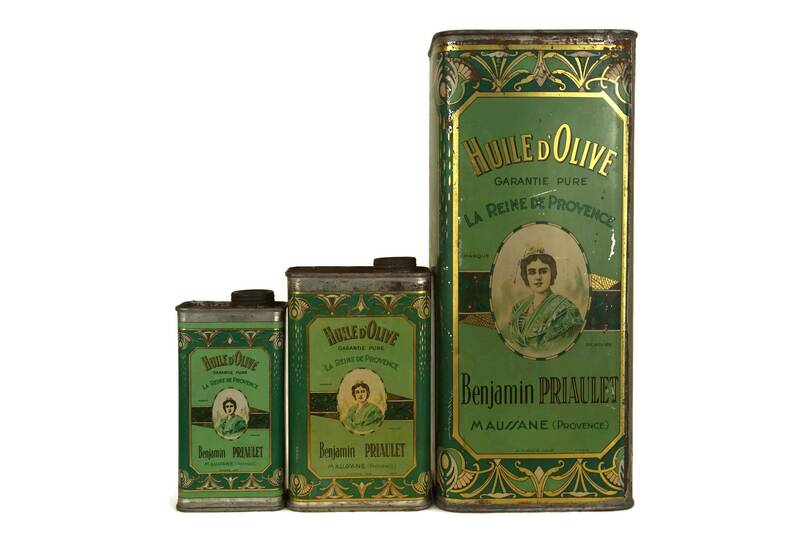 Small: 6" High x 3" Wide x 2" Deep (15 cm x 8 cm x 5 cm). 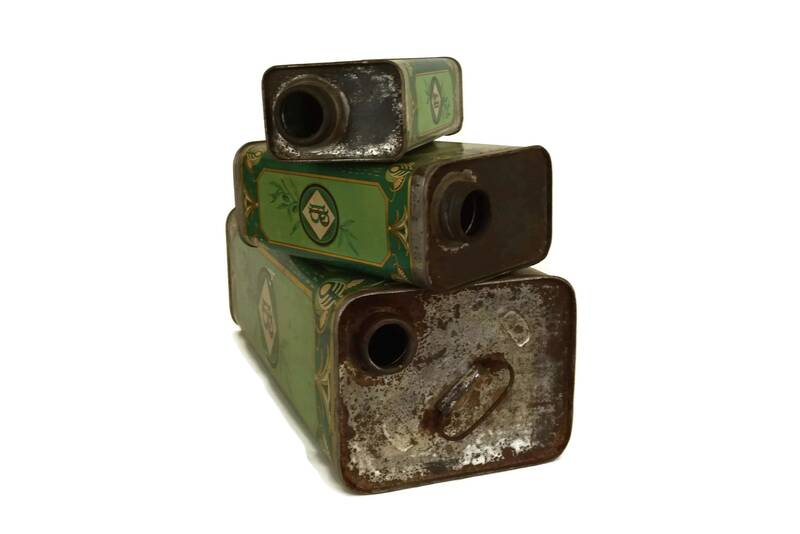 The set of metal oil cans is in very good vintage condition with some surface marks and scratches. 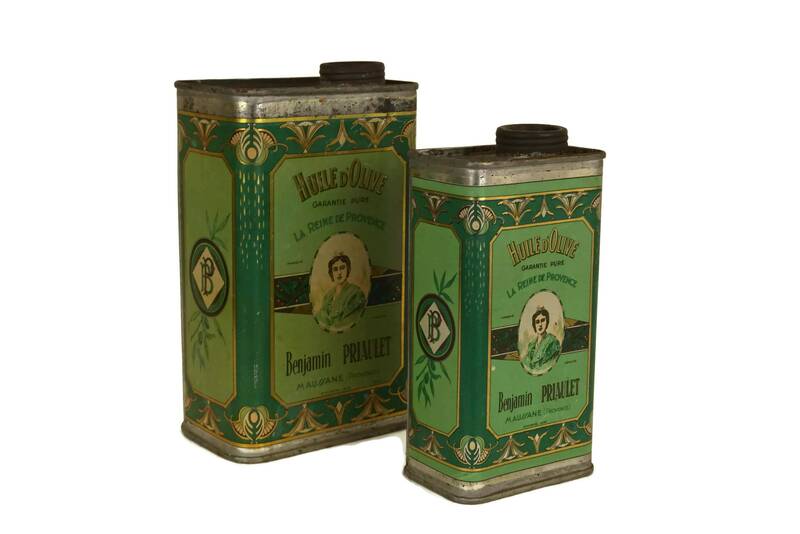 Their original screw top lids have been lost.